The Lilliput 663/S monitor has a 1280×800 resolution, 7″ IPS panel, perfect combination for use and the ideal size to fit neatly in a camera bag. No matter which camera or AV equipment our customers use with the 663/S, there is a video input to suit all applications. Compact size and peaking functionality are the perfect complements to your Full HD Camcorder’s features. Providing advanced camera auxiliary functions. Peaking, False Color, Histogram & Exposure, etc., are major concerns with camcorder users. Lilliput’s field monitors are great at displaying accurate images, 663/S makes photoing & recording even easier with its functionality. Customers frequently asked Lilliput how to prevent their monitor’s LCD from getting scratched, especially in transit. Lilliput responded by designing 663’s smart screen protector that folds out to become a sun hood. This solution provides protection for the LCD and saves space in the customers camera bag. 663/S includes an HDMI-output feature which allows customers to duplicate the video content onto a second monitor – no annoying HDMI splitters required. The second monitor can be any size and picture quality will not be affected. 663/S uses the latest IPS LED-backlit display panels that feature higher physical resolutions. This provides higher levels of detail and image accuracy. 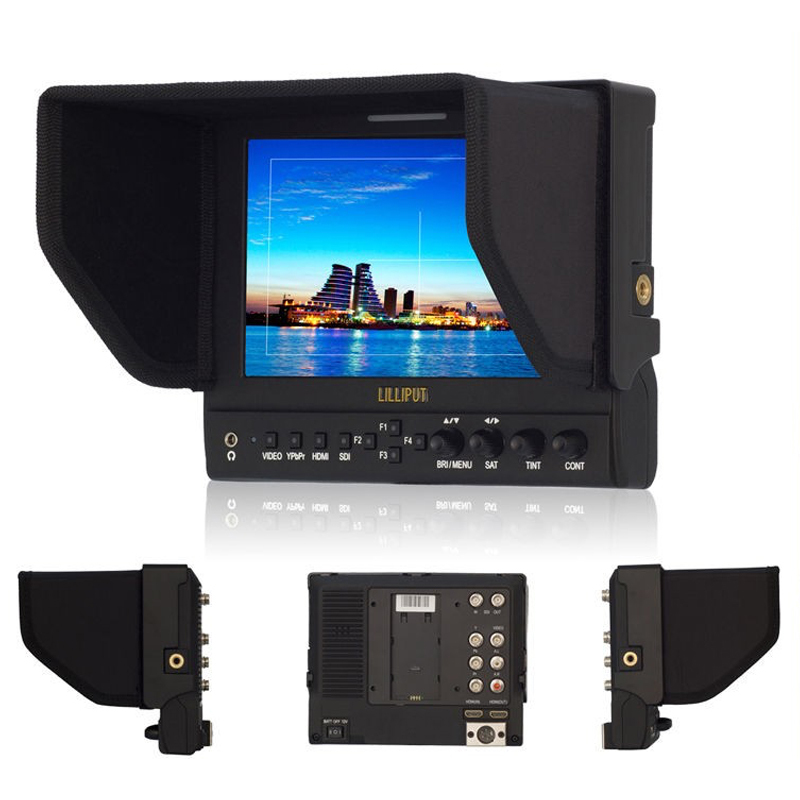 663/S provides even more innovations to pro-video customers with its super-high contrast LCD. The 800:1 contrast ratio produces colours that are vivid, rich – and importantly – accurate. Lilliput’s monitor with the widest viewing angle has arrived! With a stunning 178 degrees viewing angle both vertically and horizontally, you can get the same vivid picture from wherever you are standing.